I find the history of the Bible — and it’s influence on the United States — interesting. Of course, one of the most popular versions is the King James Version. It was commissioned by King James and first published in 1611. 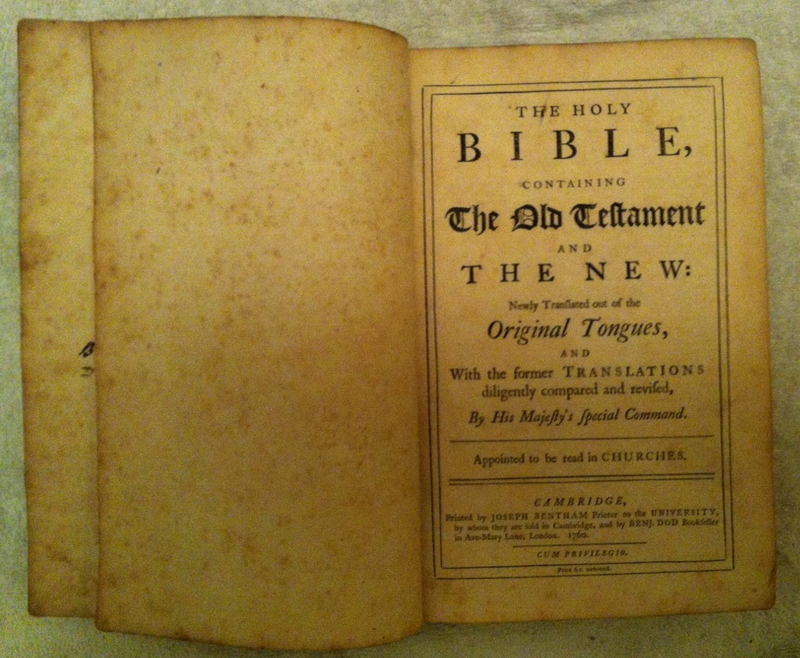 Although, when published, it was not the official, authorized Bible of the church of England (the original title page of the 1611 King James Bible read: Appointed to be read in Churches), it nonetheless became the standard other Bibles were judged by– with some asserting it is the only true version of the Bible. 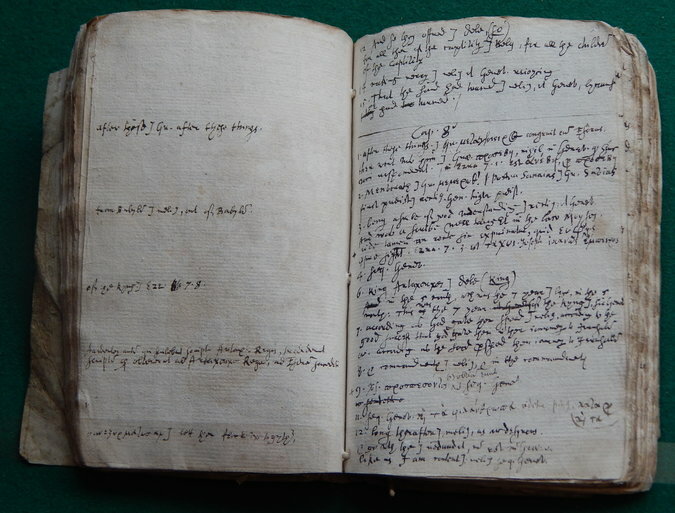 … it shows an individual translator’s initial puzzling over aspects of the Greek text of the Apocrypha, indicating the reasoning behind his translation choices, with reference to Hebrew and Latin as well. Which suggests even the Bible was subjected to a labor-management clash since, just like today, the bosses handed out the orders and the workers finished the project the best way they knew how. It is important to note, though, that the discovery does not take away from the work that was completed — or diminish the integrity of the work. It just shows that sometimes, individuals — and not a team — labored over the correct translation of a passage. The passage being translated in the document is from the Apocrypha. The Apocrypha was removed from most U.S. versions of the King James Bible by the mid-1800s. The Bible’s role in the country is unmistakable, but what many do not realize is that the King James Bible was not the preferred translation of the first white settlers. The Puritans preferred, preached and studied, the Geneva Bible. The Geneva Bible had two (and maybe more) distinctive qualities that made the Scriptures more accessible to the common person. First the Geneva Bible included marginal notes — called commentary in today’s vernacular — that interpreted various phrases and statements for the layperson. But, the single most important improvement the Geneva Bible implemented? Verses. Before the Geneva Bible, the Bible had not been divided into numerical verses. If you are interested in understanding how the Bible, as we know it today, came into existence, read How the Bible Was Built.